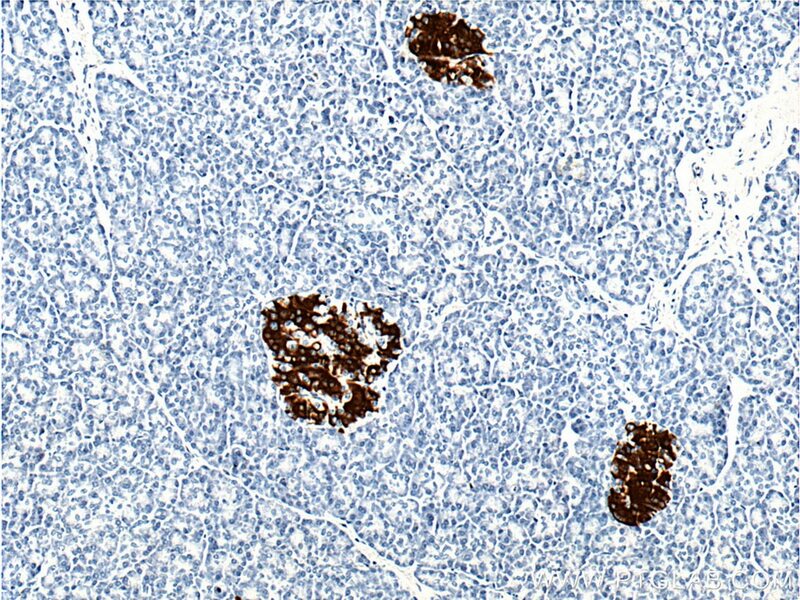 Immunohistochemical analysis of paraffin-embedded human pancreas tissue slide using 66198-1-Ig( Insulin Antibody) at dilution of 1:5000 (under 10x lens). 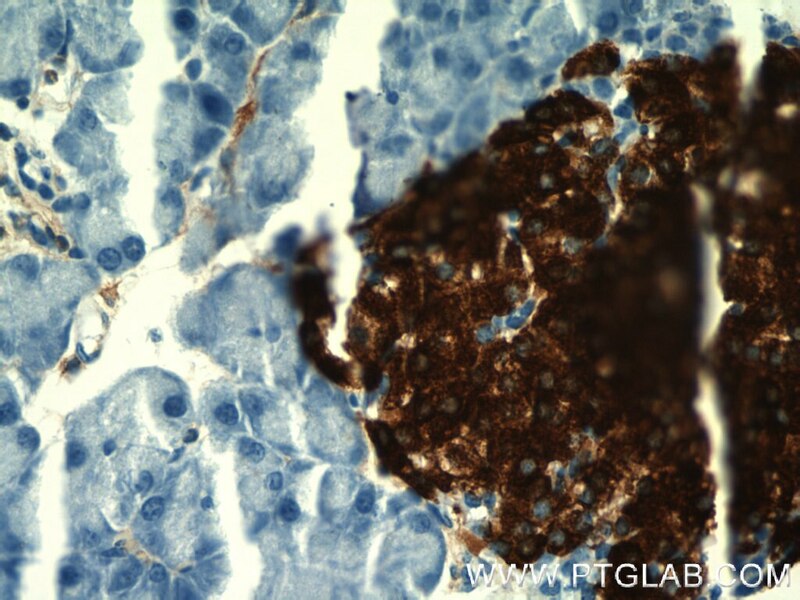 Immunohistochemical analysis of paraffin-embedded human pancreas tissue slide using 66198-1-Ig( Insulin Antibody) at dilution of 1:5000 (under 40x lens). Insulin is a peptide hormone, produced by beta cells of the pancreas, and is central to regulating carbohydrate and fat metabolism in the body. It participates in glucose utilization, protein synthesis and in the formation and storage of neutral lipids. Insulin is synthesized as a precursor molecule, proinsulin, which is processed prior to secretion. A- and B-peptides are joined together by a disulfide bond to form insulin, while the central portion of the precursor molecule is cleaved and released as the C-peptide. 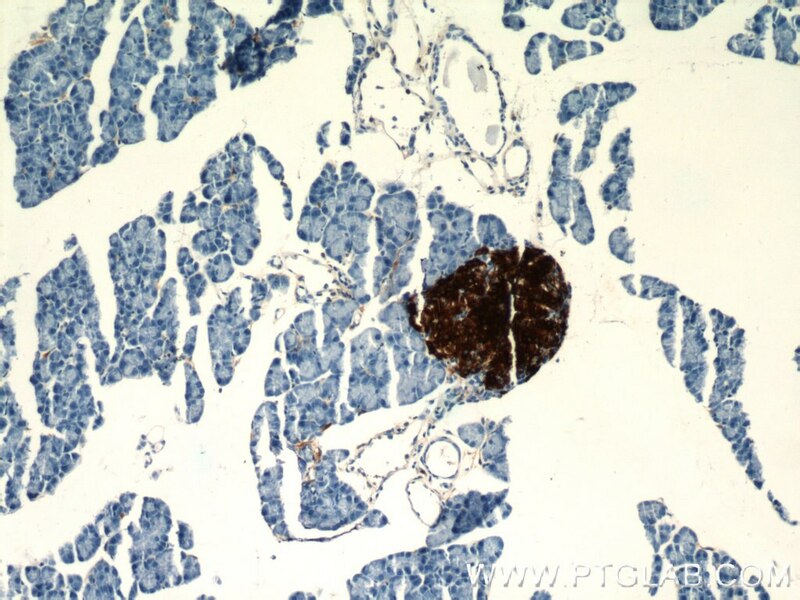 Defects in insulin results in type 1 diabetes mellitus. 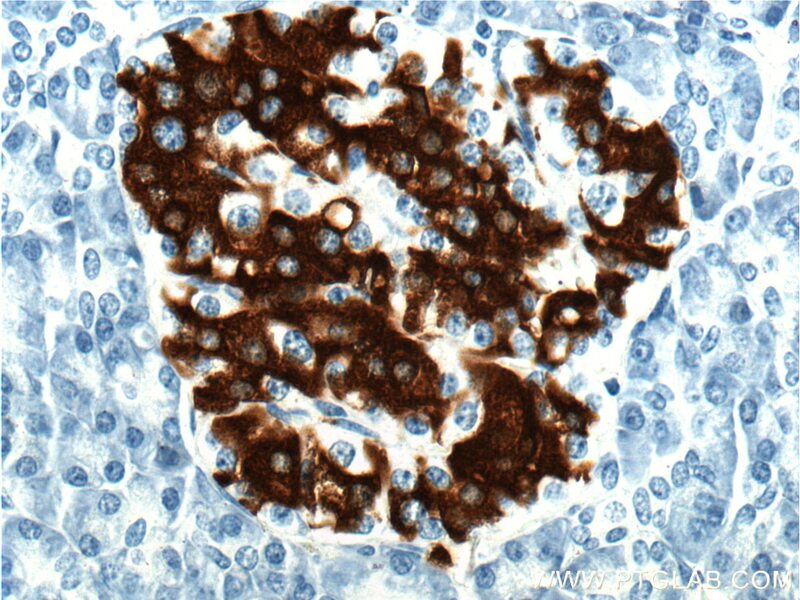 Insulin may also exist 36 kDa form corresponding to the hexameric insulin form. Chronic oscillating glucose challenges disarrange innate immune homeostasis to potentiate the variation of neutrophil-lymphocyte ratio in rats with or without hidden diabetes mellitus.